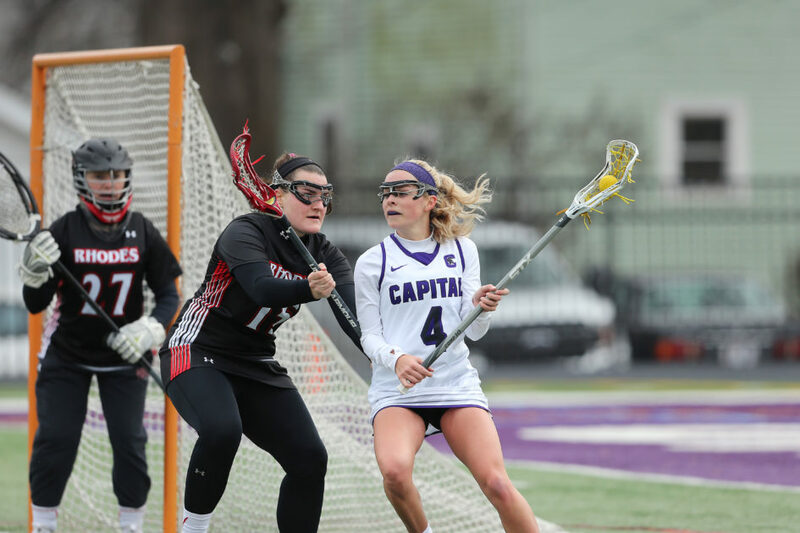 The spring sports season is nearing its peak, but women’s lacrosse is far from finished. They are currently sporting a 6-4 record and have won three games straight. The team is coming off a spectacular 14-3 record from the 2018 season, in which they made it to the Ohio Athletic Conference (OAC) championship and narrowly lost to to the University of Mount Union. Head coach Stacey Florence and Makenna Ozenghar (15). Photo cred: Joe Maiorana. This year, the team is trying to top last year’s performance. “We scheduled a very hard non-conference schedule to prepare us …” Florence said of the beginning of the season. Kat Walton playing at the Rhodes College game on March 9th. Photo credits: Joe Maiorana. She added that the team “hung in” the games that they did lose and played competitively. Florence said that a difficult beginning to the season will give her athletes a better chance to compete within the OAC. Both Florence and junior midfielder Kat Walton agree that the momentum from last year’s success has carried over into this season. “The games that we’ve lost have put us in those situations that even though we lost them, it helped us prepare,” Walton said. Walton has played all three years she has been at Capital, and is one of three other juniors. Conference play has started strong, with a trio of wins against Baldwin Wallace University, Muskingum University, and Marietta College. During the Crusaders 22-0 destruction of the Muskies on March 30, sophomore Brooke Delara set new school records for number of goals scored in a single game and assists in a single game. Walton said that the winning spirit among the seniors and juniors has definitely rubbed off on the underclassmen. 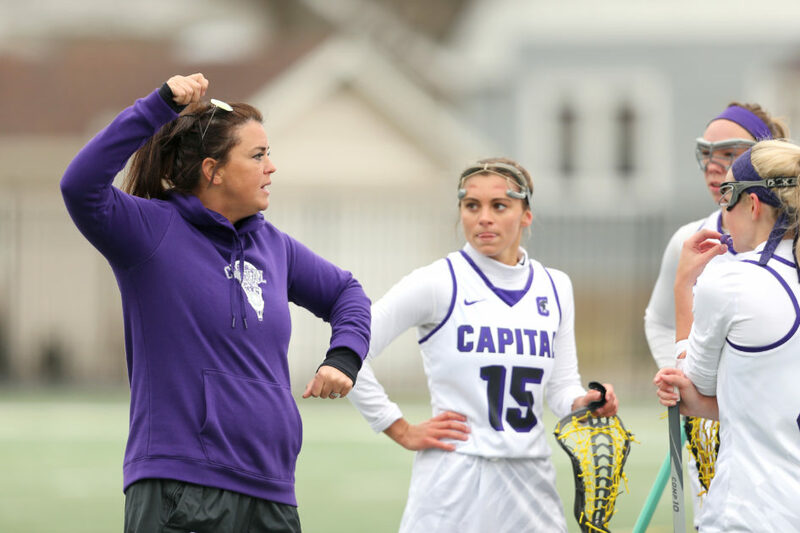 Both Walton and Florence concur that the University of Mount Union, last year’s OAC champions, pose stiff competition; however, Florence says that the rest of the conference may hold some surprises. “This year is going to look a lot different because everyone lost a great class … so it’s an even playing field,” Florence said. Florence mentioned that Otterbein University, who has the oldest program in the OAC, will also pose a threat. Despite worthy competition throughout the conference, Capital has a realistic chance at a championship this year. “We’ve all worked really hard, so I think we’ll be ready,” Walton said.